You Like Them. You Really Like (To Steal Them). | The Cineaste's Lament. ← New “Underworld: Awakening” Images Hit The Web. You Like Them. You Really Like (To Steal Them). 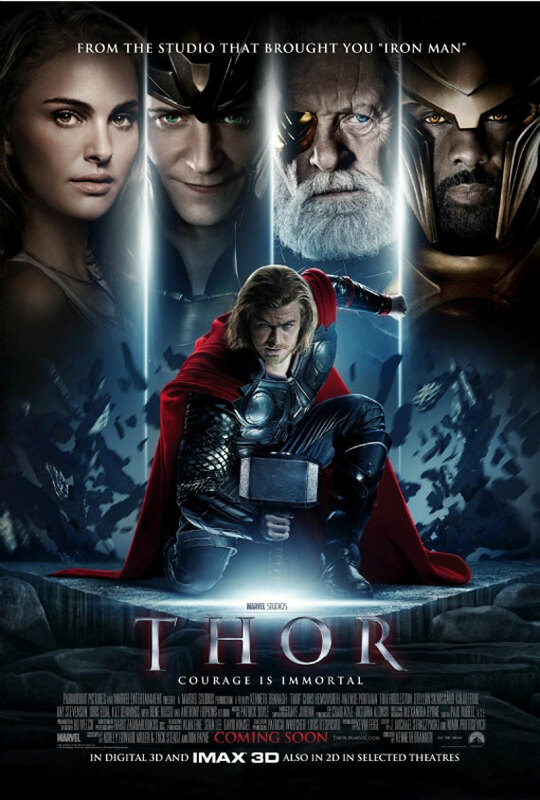 Kenneth Branagh’s “Thor” was the third most pirated flick of 2011, according to a list compiled by Movifone.com. The Marvel superhero flick, which grossed $450 million worldwide, was illegally downloaded 8.3 million times, according to ComicBookMovie. And providing us with further evidence that it’s a Nerd’s World and we’re just living in it: the hyper-violent “Sucker Punch,” and “Harry Potter and the Deathly Hallows” also made the Top 10. The movies were downloaded 7.2 million and 6 million times respectively. This entry was posted in Film News, Listomania and tagged Bittorrent, Fast Five, Hangover 2, Harry Potter and the Deathly Hallows, Illegally downloaded movies, Most Pirated Movies, Sucker Punch, The King's Speech, Thor. Bookmark the permalink.